These value range sashes are a cheap fun alternative for your hen party. Use this affordable hen night accessory for all your hens, they are perfect for in your hen night gift bags too. 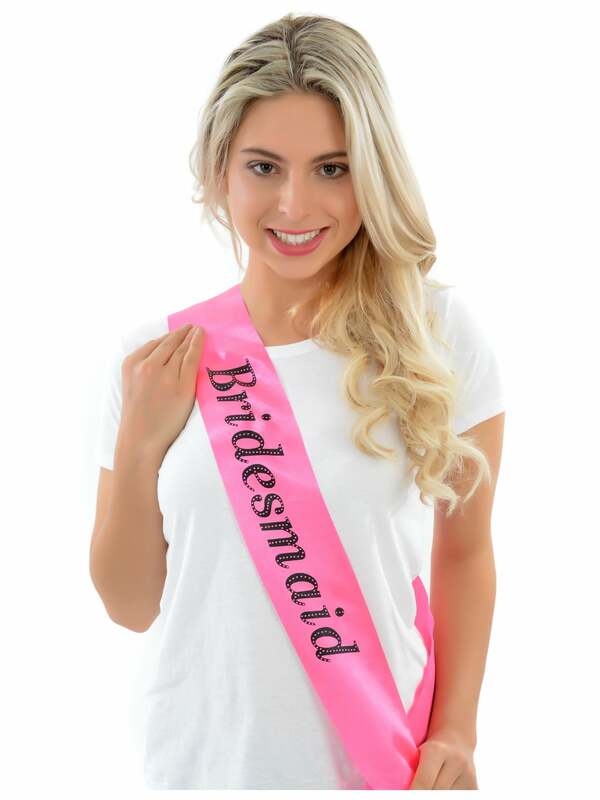 Showing our 5 Value Range Bridesmaid Hen Party Sash Pink reviews with an average rating of Excellent. Would you like to write a review? Review - For a 'value range' sash I was really pleased with the quality of the sash. It was well made, the print with the wording was good and the fact that you could get the sash with various different roles (I.e. Bride to be, bridesmaid) meant that this was a great cheap way to give us all something matching to wear on the hen. For a 'value range' sash I was really pleased with the quality of the sash. It was well made, the print with the wording was good and the fact that you could get the sash with various different roles (I.e. Bride to be, bridesmaid) meant that this was a great cheap way to give us all something matching to wear on the hen.